Meet AdPlayer.Pro Team at #MWC18! 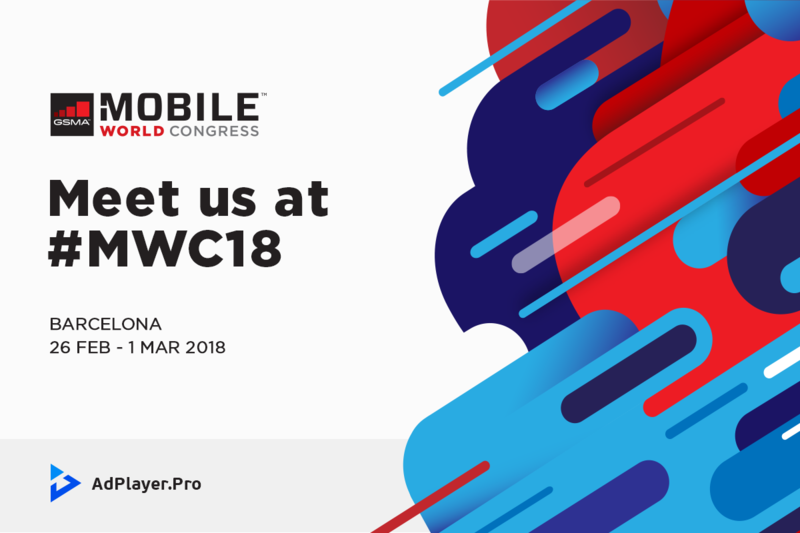 AdPlayer.Pro team is heading to Mobile World Congress 2018. Let’s meet up! Undoubtedly, this year’s Mobile World Congress held in Barcelona, 26 Feb – 1 Mar 2018, is going to be Huge! As being announced, the 2018 event will gather 2 000+ exhibitors and over 100 000 attendees from 208 countries of the world. The AdPlayer.Pro team will be attending #MWC18 too, and we’d love to meet up with you in person! Send us an email to schedule a meeting!